Not only is GoManitoba an excellent tool for finding ride matches to carpool on your commute, it also gives you the ability to track your trips and see the km traveled, gas saved (or burned), greenhouse gas emissions saved (or produced), calories burned, and how much money you’ve saved! The more often you use sustainable travel the more you’ll see your savings climb, calories burned and fuel saved! Click here to create an account or login! To make carpool matches, or to become a bike/walk mentor visit our how-to blog to get signed up. 85% of Canadian adults do not get the recommended minimum of 150 minutes of moderate to vigorous physical activity per week (Heart & Stroke Foundation, 2011). …our individual choices really impact the bigger picture! The user below commutes to work primarily by bus and occasionally walks. 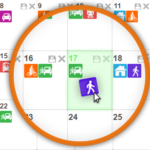 To add a trip to your Trip Calendar, simply click on the icon that representations the mode of transportation you used (Travel Modes) and drag it over to the day of the month. 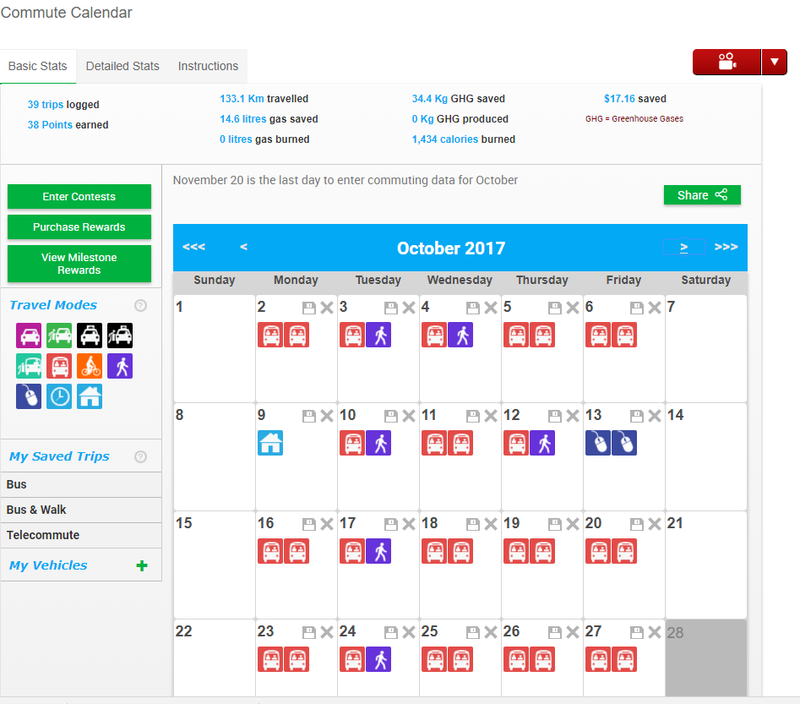 You will then be prompted to fill in a trip log (times, starting and ending points, round trip or not, vehicle type, etc.). 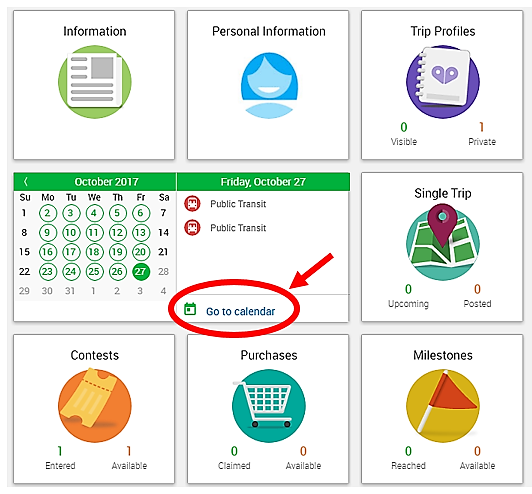 You have the ability to save the types of trips you take on a regular basis under My Saved Trips, and then you can drag and drop them into your calendar the next time you track your commute without having to re-enter the route. 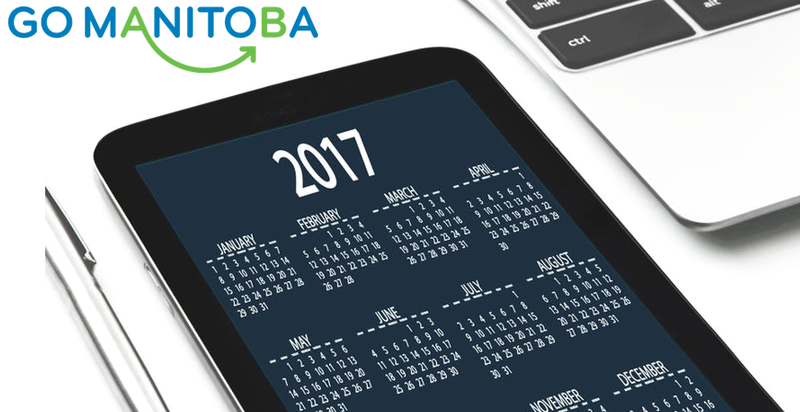 This avoids having to input your commute details each day, making it very user friendly and requiring little time or effort. You can see this person has three types of under My Saved Trips: Bus, Bus & Walk, and Telecommute. Being mindful of our carbon footprint is important as we work towards alleviating the impacts of climate change. It is also important when it comes to the quality of air that we breathe. Air quality is critical to our health. The Air Quality Health Index (AQHI) is a tool to help you plan and enjoy a healthy lifestyle. Much like the UV Index helps protect us from the harmful effects of too much sun, the AQHI alerts us to health risks posed by air pollution. The AQHI is measured on a scale ranging from 1-10+. The AQHI index values are also grouped into health risk categories as shown below. These categories help you to easily and quickly identify your level of risk. Green Action Centre recognizes the importance of regularly checking your local AQHI level. That’s why we’ve incorporated it into our homepage at GoManitoba.ca!